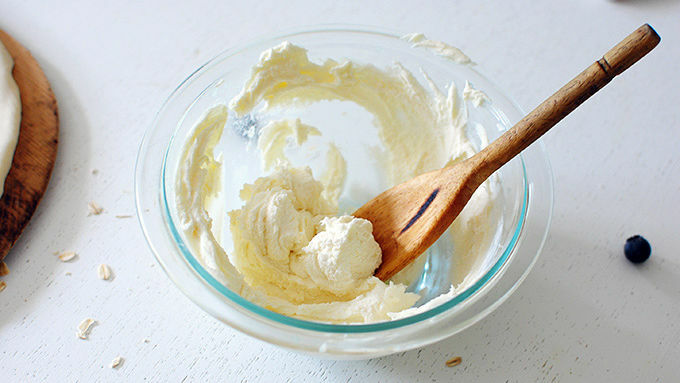 In a small bowl, stir together the mascarpone cheese, sugar and lemon juice. In another small bowl, mix together (with your fingers) the softened butter and oats. Roll out each pie crust on a floured work surface. Using a 4-inch cookie cutter, cut out 8-10 circles. 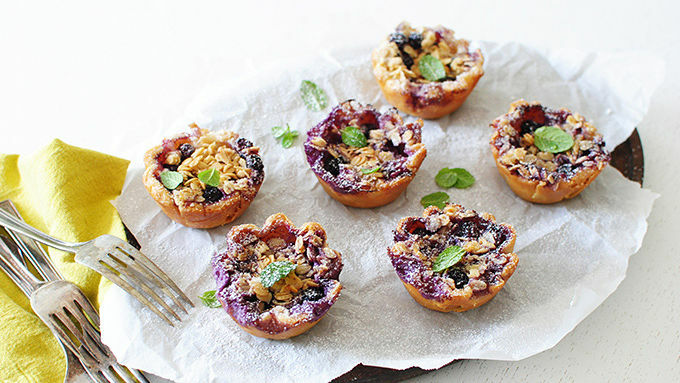 Nestle them into muffin tins, lightly pressing against the sides and crimping the edges. Spoon a tablespoon or so of the mascarpone mixture into each pie cup, followed by a tablespoon of fresh berries, and a small dollop of the oat/butter mixture. 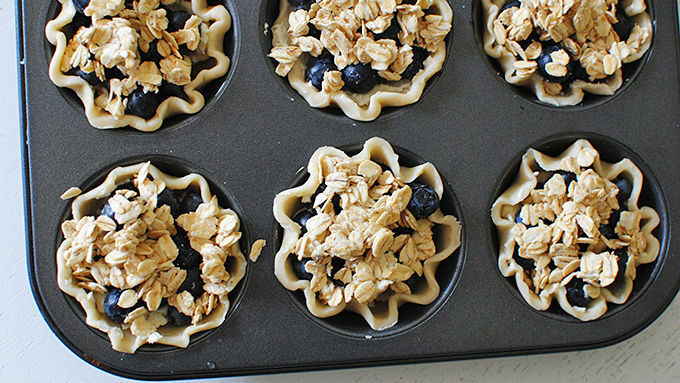 Place in a 425°F oven and bake for roughly 20 minutes, or until the pie crust is cooked through and oats on top are browned and bubbly. Let cool about 10 minutes, then dust with a kiss of powdered sugar and garnish with fresh mint leaves and whipped cream, if desired. Serve immediately. Can we inhale six of these at once? Wait, did I just dare myself? CHALLENGE ACCEPTED. I love love love summer desserts. They can be kind of healthy sometimes, so you have the excuse of eating approximately 82.634% more of them. On any given day. All of the days. The thing that makes these spectacular is the lemon/mascarpone filling. 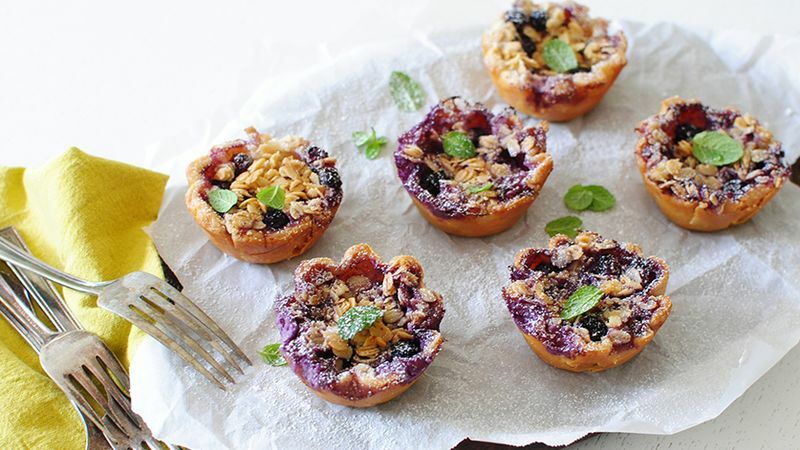 Sure, sure they have fresh, plump summer blueberries in them. But the CHEESE. They have cheese in them. Italian cream cheese with a kiss of lemon. If you need to lie down and/or dance and/or send a few emails, fine by me. And then they're each topped with a little happy bundle of oats and butter. Baked, bubbly, beautiful. Summer rules my face.